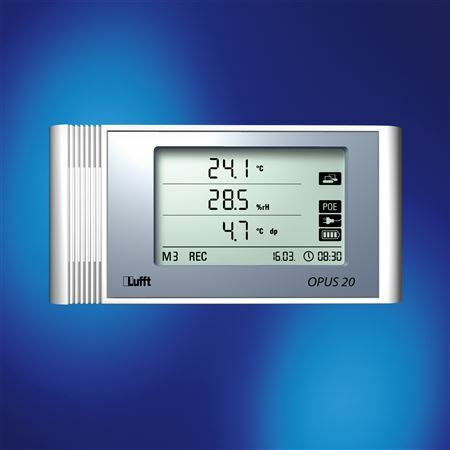 Lufft offers a variety of models with internal or external sensors for recording humidity, temperature, pressure and CO2. The 8120-00 (THI) Model records Temperature and Relative Humidity. For climate monitoring and recording in buildings, air conditioning units, laboratory, cleanroom, storerooms and museums, alarm indication (current or historical since the last data transmission), conversion of the display from %RH to absolute humidity or dewpoint with SmartGraph professional software.